Avengers # 1 © and ™ Marvel. While I’m waiting for a chance to see Marvel’s The Avengers, let's take a look back at what made the latest super-team to become a film franchise so popular to begin with. It wasn't heroes such as Thor, Iron Man, and Captain America. It wasn’t even the writing or art, both of which vary widely from era to era. It was the personnel changes. The Avengers stood apart from other super-teams in that its membership changed—and changed often. These days, almost every super-team undergoes radical changes, but the Avengers did it first. The early issues of The Avengers, written by Stan Lee and drawn by Jack Kirby (and later Don Heck), demonstrated how you can shake things up to keep your own stories interesting. 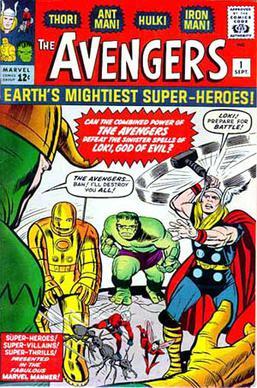 The Avengers debuted in the first issue of their self-titled series, cover dated September 1963. To put this in context, very few super-hero teams preceded them: the Justice Society of America (which debuted in 1940), the short-lived All-Winners Squad (1946), the Legion of Super-Heroes (1958), the Justice League of America (1960), the Fantastic Four (1961), and the Doom Patrol (June 1963). The now mega-popular X-Men debuted the same month as the Avengers. Most of these teams were built around a core cast of characters. The Avengers' fellow Marvel Universe team, the Fantastic Four, for example, always returned to its core cast of Reed, Ben, Sue, and Johnny. Even when Crystal, Medusa, and others joined in later years, they were temporary stand-ins. Over at rival DC Comics, the JLA and the LSH accumulated members, becoming small organizations. This posed enormous challenges for writers, few of whom wanted to squeeze 14 to 25 heroes into stories on a regular basis. The JSA, during its initial run from 1940-51, lost a few members here and there, but it revolved around a core team that included the Golden Age Hawkman and Atom. After the JSA's revival in the '60s, it, too, accumulated members. The Doom Patrol, like the FF, consisted of the same four characters, and the X-Men, throughout the '60s, featured the same five. Lee and subsequent Avengers writers, on the other hand, regularly dropped members from the roster—and sometimes almost the entire team. Marvel, then a small company, published only a few titles in those days, most of which were anthology series held over from the '50s. Thus Thor starred in Journey into Mystery (which was eventually re-titled The Mighty Thor), Iron Man appeared in Tales of Suspense, and Ant-Man and The Wasp co-starred in Tales to Astonish. After a six-issue series of his own had failed, The Hulk became the second feature in TtA. It was quite an eclectic team by early '60s standards, and it didn't last. Changes started happening as early as the second issue. Over in TtA, Ant-Man changed his powers and his name, and so, midway through Avengers # 2, he appears as Giant-Man. Then, following the team's battle with the Space Phantom (who had disguised himself as the Hulk), the Hulk became the first Avenger to quit, after realizing the others would never trust him. I can't be sure why Lee instituted two changes in the same issue, so early in the book's run. After all, this risky move was bound to unsettle new readers. Storywise, however, the second change made sense. The Hulk, an unpredictable, rage-filled monster, was hardly team material. And, though no longer a member, he continued to appear for the next few issues: In # 3, he teamed up with Marvel's other celebrated anti-hero, The Sub-Mariner, to fight the remaining Avengers. As for Ant-Man, I suspect this character lagged behind the others in terms of popularity or fan appeal. Even the change to Giant-Man did little to improve his standing: Within two years, he and The Wasp would lose their own series in TtA (replaced by The Sub-Mariner). In any event, Giant-Man provided the team with more muscle—they still had Thor and Iron Man in that department—so they needed something different, something . . . patriotic. Cap, the stalwart WWII hero, joined in Avengers # 4. He brought acrobatic ability, a shield, and an iconic sense of what a hero should be. Later writers played up Cap's leadership qualities: his ability to lead heroes much more powerful than he is, the reverence other Avengers hold for him, and his sense of duty which inspires the best in those around him. These qualities are evident during Lee's tenure, as well, although Cap spends much of his time hanging out with teen sidekick Rick Jones, and not so much time interacting with his new teammates. Nevertheless, Cap (who joined Iron Man as co-feature of Tales of Suspense) proved overwhelmingly popular with fans and came to dominate the book. Still, something wasn't quite gelling. During the next dozen issues, the Avengers fought the likes of Kang, the Mole Man, and Count Nefaria—hardly awe-inspiring or earth-shaking villains. Lee and artist Jack Kirby seemed to be saving their best ideas for their other books. And then Lee decided to shake things up by getting rid of almost the entire team. It was a bold move. It had never been done in a super-hero team comic before. But in Avengers # 16, Lee retired all of the original Avengers, leaving only Captain America. Who should replace Thor, Iron Man, Giant-Man and the Wasp? Three much less powerful characters—Hawkeye, Quicksilver, and the Scarlet Witch. All three had previously been villains. This sort of thing usually happens when a book is on the verge of cancellation. I’m not privy to Marvel’s sales figures of that time, but it must be noted that the company itself was still small and struggling. The iconic characters we take for granted today were still in their formative stages, and Marvel as a comics publisher enjoyed little more than cult status. 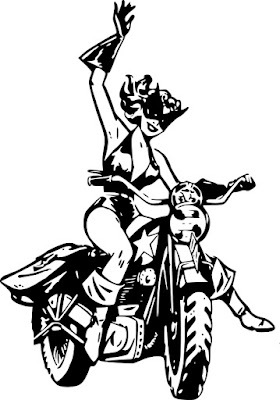 The company was a distant and non-threatening competitor in an industry dominated by DC Comics (then National Comics). When a company has little to lose, experimentation is welcome. And, in the Avengers’ case, the experiment paid off. Although I prefer having Thor and Iron Man on the team, the stories following their departure remain some of my favorites. Lee played off the personalities of his new Avengers, having them bicker and go through personal angst. Hawkeye and Quicksilver challenged Cap for leadership. Cap doubted his place as a hero in the modern world. And everybody fell in love with the token female, The Scarlet Witch—including The Swordsman, a villain who infiltrated the team in # 20. Furthermore, the Avengers faced real challenges when they fought the likes of Power Man, Kang (again) and Attuma. They had to struggle to win. By keeping the team small and not being afraid to jettison fan favorites, Lee set the tone for a series which has endured almost 50 years and is now the subject of a blockbuster film. While the Avengers' lineup has almost always included some combination of core characters—Thor, Iron Man, Captain America, The Wasp, The Scarlet Witch, Hawkeye—the team was built on change, and change remains an important part of its appeal. If you find yourself stuck in your story, take a cue from The Avengers and shake things up.